52 years ago Dr. Martin Luther King, Jr. came to Norfolk Virginia to preach at his friend Rev. Milton Reid's installation as pastor of New Calvary Baptist Church. Milton Reid was a well known early Virginia civil rights activist. Dr. King was scheduled to return to preach again at New Calvary Baptist in early April 1968 but postponed the visit to go to Memphis to support the sanitation workers strike where he was assassinated on April 4, 1968. 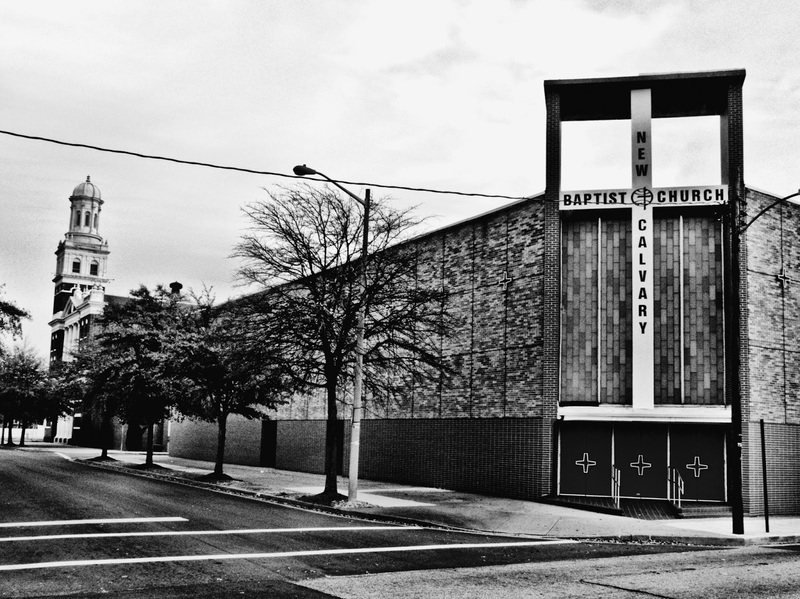 New Calvary Baptist is located at the corner of Calvert St. and Virginia Beach Blvd. in Norfolk Virginia. In the background of this photo can be seen historic First Calvary Baptist Church, just to the left out of the frame is the historic Attucks Theater.